The Fourth Squad reports the arrest of an Elmont man for Assault that occurred on Thursday, December 11, 2014 at 1:52 p.m. in Elmont. Elmont, NY - December 13, 2014 - The Fourth Squad reports the arrest of an Elmont man for Assault that occurred on Thursday, December 11, 2014 at 1:52 p.m. in Elmont. 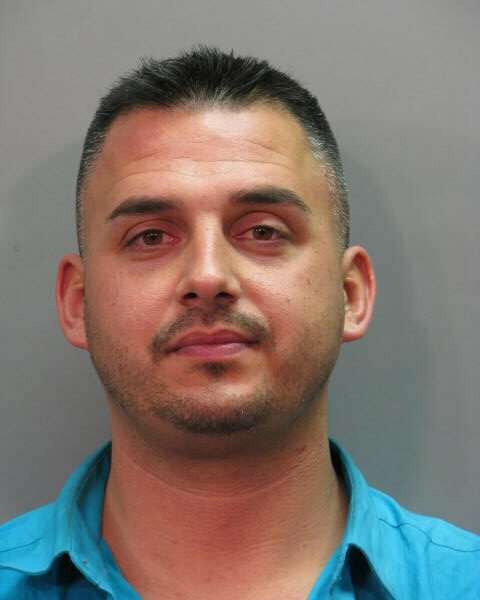 According to detectives, Bureau of Special Operations officers were conducting an investigation when they approached the defendant Nicholas M. Depasquale, 34 of 2014 Baylis Avenue as he began to back his 2006 Chevy van out of his driveway. The officers activated the emergency lights on their vehicles and exited the car with their shields displayed. Upon seeing the officers Depasquale exited his vehicle and fled on foot into the rear yard entering his home thru the rear. The officers followed Depasquale into the home and were able to stop him at the top of the basement stairs. He refused to comply with the officers’ commands and repeatedly pushed, punched and kicks the officers. The ensuing struggle caused two officers and the defendant to fall down the flight of stairs. While on the floor of the basement the officers were able to gain control of the defendant and placed him under arrest. As they lead Depasquale to the patrol car he deliberately tripped the officer causing them to both fall to the ground. During the arrest Depasquale was found to be in possession of a plastic bag containing crystal methamphetamine. One officer was transported to a local hospital for treatment of injuries to his elbow and back. Two other officers were treated from minor injuries at the scene. Despasquale is charged with Assault 2nd degree, Criminal Possession of a Controlled Substance 7th degree, Resisting Arrest, and two counts of Criminal Contempt 2nd degree (for a previous offense). He was arraigned on Friday, December 12, 2014 at First District Court in Hempstead. Subject: LongIsland.com - Your Name sent you Article details of "Elmont Man Assaults Officers During Investigation"